A sharp, statement piece - caught between delicate looks and a sharp edge. An irregular surface of glass shards frames the wrist. Like a rough gemstone, the bracelet has a precious but unrefined feel, a raw elegance that gives it strength and appeal. Glass was chosen as the perfect material for this piece because of its sharp, potentially dangerous nature, in contrast with its delicate, airy appearance. 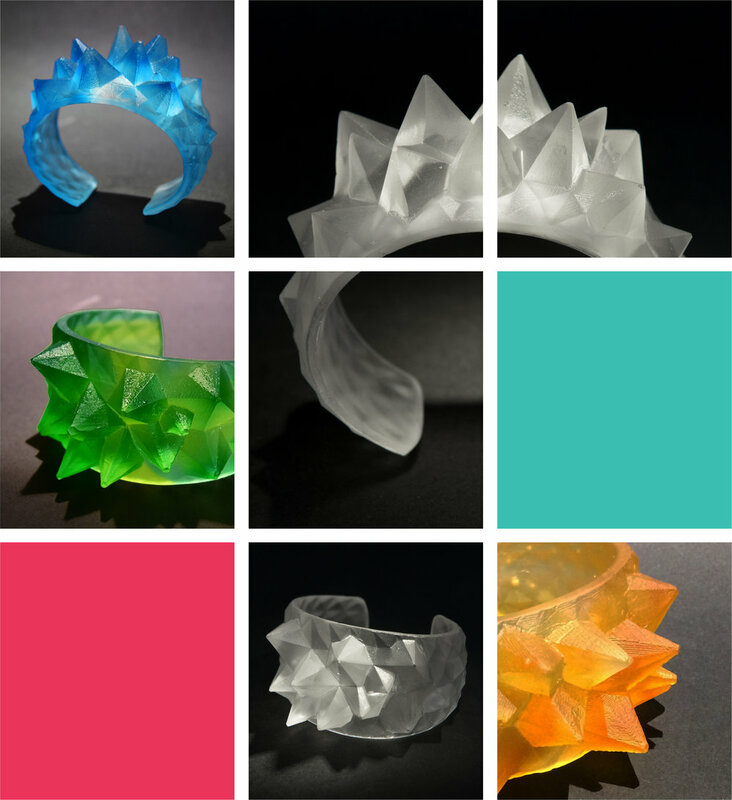 Bloom is a collection of cast glass bracelets with a translucent faceted surface. An irregular surface of glass shards frames the wrist. Like a rough gemstone, the bracelet has a precious but unrefined feel, a raw elegance that gives it strength and appeal. Glass was chosen as the perfect material for this piece for its sharp, potentially dangerous nature, in contrast with its delicate, airy appearance. 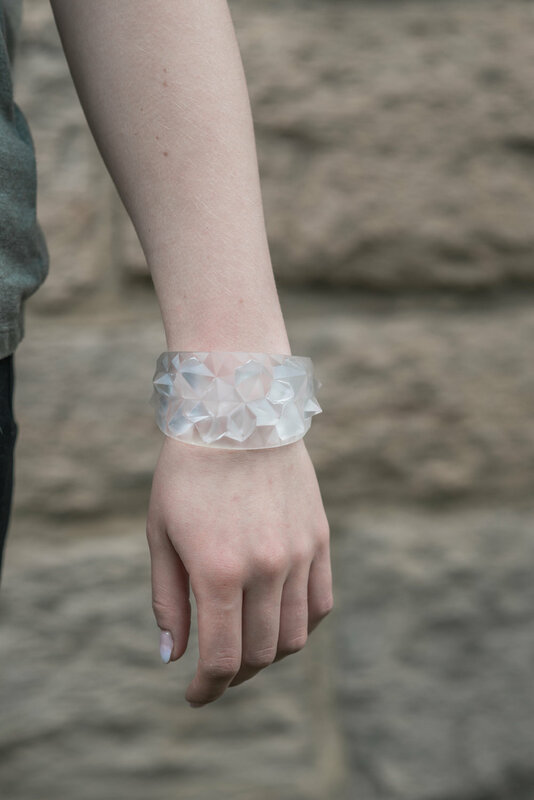 Bloom bracelets are entirely made out of glass. The pieces were designed using 3D modelling software - starting from a regular faceted surface, adapting it to the oval shape of the wrist, and then modifying it by pushing and pulling the edges to obtain an irregular surface of sharp spikes. The model was then 3D printed and used to make a two-part silicone mould. Wax models obtained from the silicone mould are used to create the final moulds for glass casting.